This is named the Dodder Buoy. 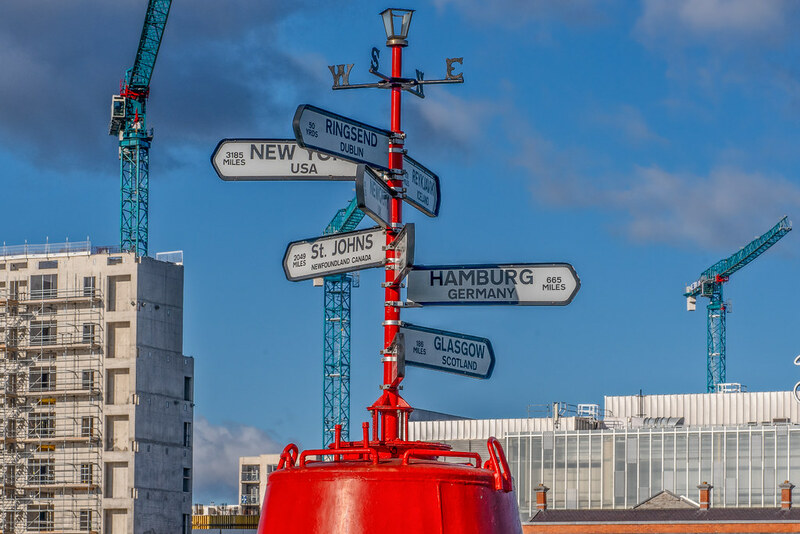 Using red buoys [port] as public art installations is now a very popular idea in Ireland and Northern Ireland ... I have never seen a green one [starboard]. The Dodder river is 26 kilometres long. It passes the Dublin suburbs of Tallaght and then Firhouse, travels by Templeogue, passes Rathfarnham, Rathgar, Milltown, Clonskeagh, and Donnybrook, and goes through Ballsbridge and past Sandymount, before entering the Liffey near Ringsend, along with the Grand Canal, at Grand Canal Dock.